WE ARE CLOSED FOR THE 2018 SEASON. WE APPRECIATE YOUR BUSINESS AND LOOK FORWARD TO SEEING YOU NEXT YEAR! 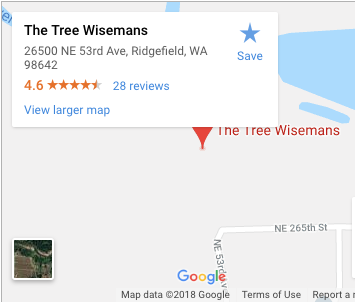 We Are Located in Ridgefield WA and Open The Day After Thanksgiving! Real Tree? Fake Tree? There’s A Difference! Having a real, fragrant, and freshly trimmed Christmas tree makes any home merry and bright during the holidays. Nothing compares to soft, green, and sweetly scented needles that hold up your heirloom ornaments and dazzling lights. However, the growing trend of buying the more expensive plastic Christmas trees is starting to creep up on Christmas tree tradition. There’s a reason why these evergreen trees are the staple of the season. Before deciding on one or the other, take a look at the benefits and comfort that real trees offer during the most wonderful time of the year! 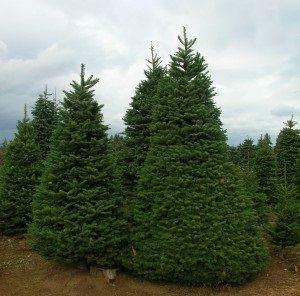 Buying a real tree supports local Christmas tree plantation growers and workers. On the other hand, buying a fake tree could mean buying a foreign-manufactured plastic tree. © 2019 The Tree Wisemans. All Rights Reserved.